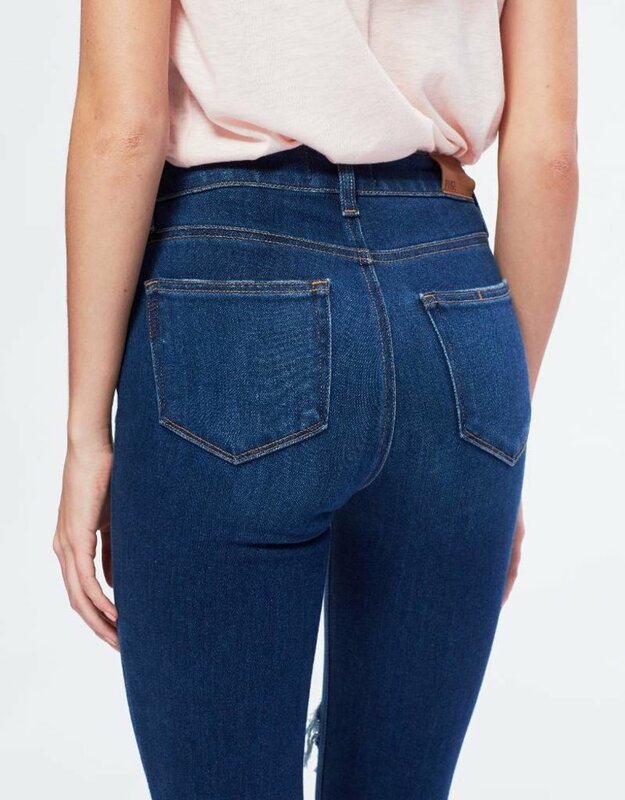 The Hoxton is Paige's sophisticated high-rise, ultra skinny fitting jean. 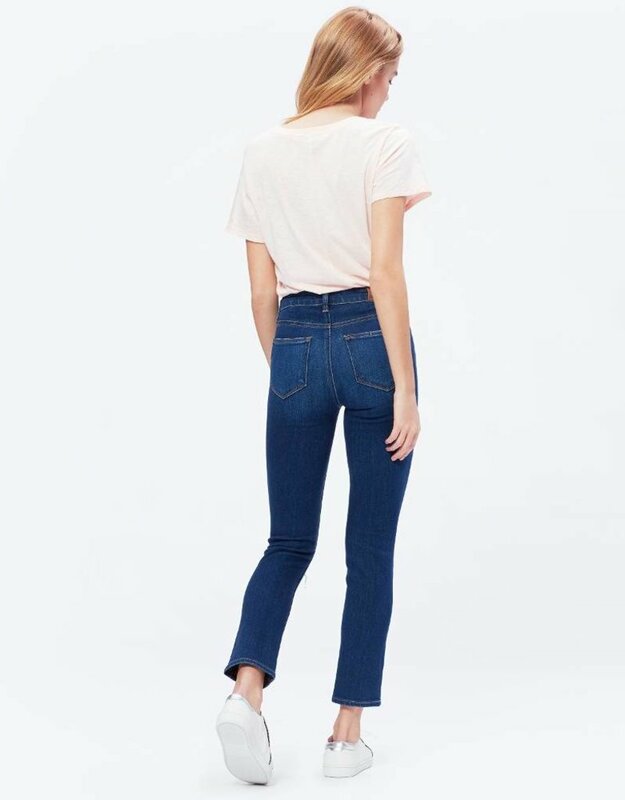 Made with the PAIGE VINTAGE denim and highlighted with bright whiskering, distressed and raw hems details, these jeans look perfectly worn-in. 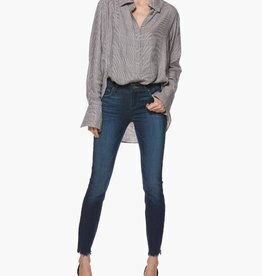 In an oversized fit, this cotton rayon button-up is ultra lightweight and soft with a flattering drape. This long sleeve shirt is detailed with a classic collar and French sleeve cuffs in an updated navy and tan check print.